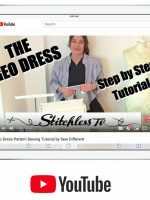 This free sewing pattern from the Great British Sewing Bee has been kicking around Pinterest since the last series and I’ve been meaning to try it for ages. (The link to it is here). It’s a really interesting looking pattern; a dress with a slight tulip shape that comes in towards the knees. 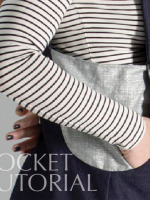 It has integrated pockets and a front pleat at the top from the neckline. The pattern says it needs a heavy weight knit. I have decided to go with scuba. Hmmm, now, scuba is not usually my first choice of fabric. I associate it with 18 year olds in bodycon dresses – not really my look!! AND I am usually more drawn to natural fibres like silk and viscose. 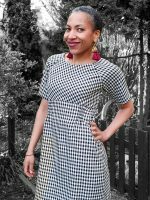 Scuba is quite a new addition to the dressmaking world; it’s a bit like neoprene, a strong knit with a smooth synthetic feel. I have no experience of using it at all but had seen this really nice black-on-black snakeskin print that I was quite tempted by. 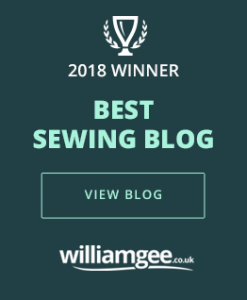 The very helpful Dawn in Fabworks Mill Shop assured me that a thin scuba will behave very much like a heavy jersey with the same stretch and drape qualities. I printed out the pattern and stuck it together, which, I have to say, is very easy as it is numbered on every side. It takes 50 sheets of paper though and took me an hour from start to finish. It come in sizes from XS – XL. I took the medium to be a UK 12, cut out my pattern and laid it out on my fabric. So far, so easy. However the down side: there don’t seem to be any instructions with it, and for a novice seamstress I think it would be quite unfathomable. The pattern pieces are really crazy shapes! 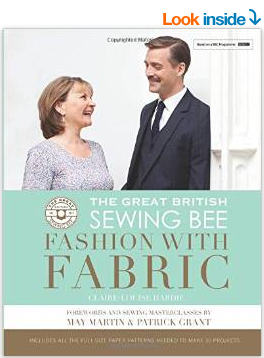 My guess is that the instructions might be in the Great British Sewing Bee book, but I’m not sure. This is the newest book that ties in with BBC’s Great British Sewing Bee. Sew the 2 pockets in place along red lines. Sew the 2 marked pieces together lining up the newly attached pocket with the integral pocket on the other piece. Do the same on the other side with the 2 pieces shown. These three sections should come together to form your front panel. 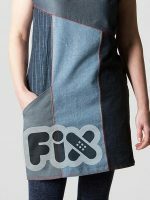 Sew your newly made front panel to your back panel across the shoulders on either side. Sew from under the arm down each of the sides to join the front and back together. 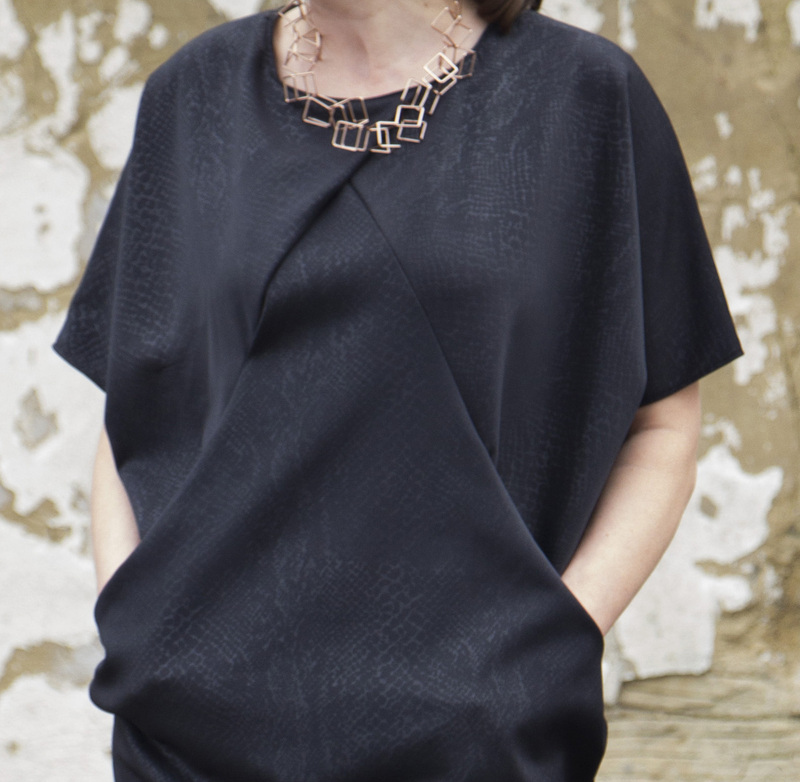 Fold (where marked on the pattern) one neckline curve on top of the other and pin in place. I would try it on at this point to check that it lies correctly. Sew your 2 pieces of facing together to form an oval. Then sew the facing to your neckline using it to keep the fold in place. My verdict on the pattern: I LOVED the way it fitted together. It gives me a slightly geeky thrill when really odd looking pattern pieces fit together to make some wearable. It was not straightforward though – I really wouldn’t even attempt this if you are beginner because of the lack of detailed instructions. However, it has taken some skilled pattern making to make. It lies well and all matches up perfectly. So if you think the shape is for you then it will be a winner. I would say that the medium seems right for a UK12. It is oversized on the top half but comes in quite narrow towards the knee. 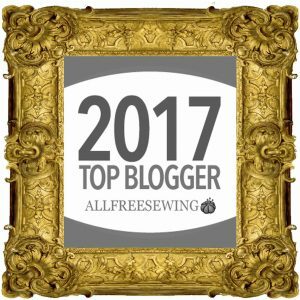 And my verdict on scuba – well, it is unbelievable easy to sew with. 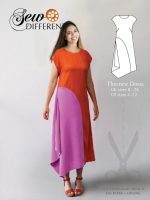 It is forgiving and you end up with a garment that doesn’t look crumpled or wonky. You don’t have to finish the edges as it has no fraying properties whatsoever. It really is a great alternative to jersey and I will definitely be experimenting with it again.